Some folks will tell you this is the best tennis game ever made. I'm not one of them. That's not to suggest I think Final Match Tennis is crap; on the contrary, I think it's a great, fast-paced, arcade-style offering. 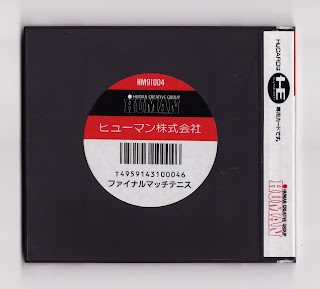 The "fast-paced" part is what keeps me coming back to this HuCard again and again, by the way. (Too many tennis titles flow like mud, in my humble opinion.) Well, that and a few of its other positive attributes: Like its appealing selection of players (all of whom seem to be based on real-life pros of the era, such as Boris Becker, Ivan Lendl and John McEnroe), its small-but-nicely-animated sprites (case in point: the McEnroe-ish player's serve looks just like the real thing) and its uncomplicated-but-not-dumb gameplay. Oh, and competing against the computer in Final Match Tennis is a reliably and enjoyably challenging endeavor, something that, in my experience, can't often be said about this title's counterparts. So, what keeps me from joining the folks who proclaim this is the be-all and end-all of tennis games? Well, I consider its lack of female players to be a big negative, for starters. 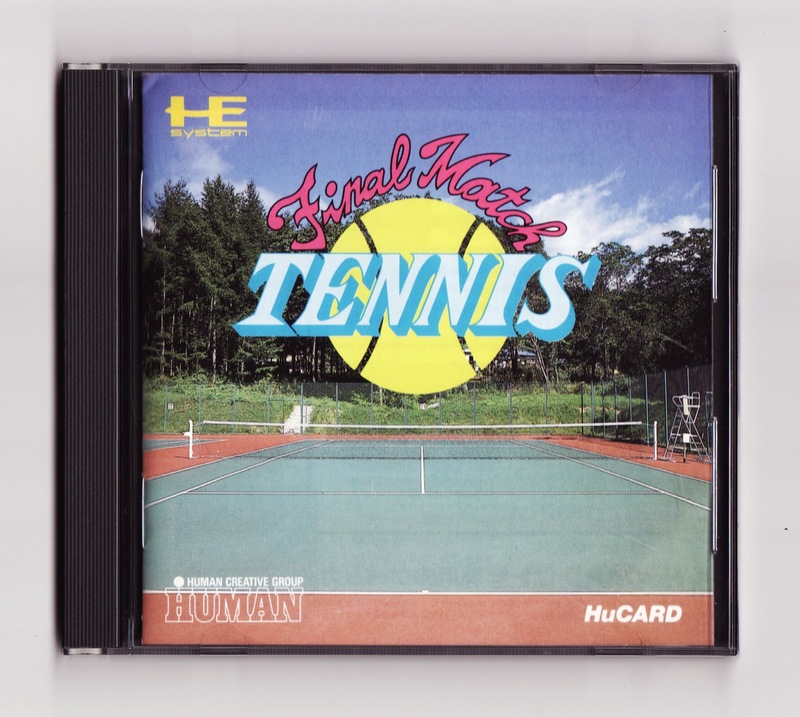 (Strangely, the CD-based Human Sports Festival features a ladies-only version of Final Match Tennis, along with golf and soccer games.) Also, each player has a fairly limited arsenal of shots--especially when compared to contemporaries like Ace Wo Nerae and Super Tennis World Circuit (both of which were released for the Super Famicom in 1993 and 1991, respectively). Finally, its "world tour" mode disappoints by ending rather unrealistically as soon as you lose a match. Ah, yes, Virtua Tennis. I like that one, too. Definitely among my favorites. Don't get me wrong about this one, by the way--I really love it!